TXA is a safe, inexpensive medication that prevents fibrin breakdown. In traumatic bleeding, it conveys a significant mortality benefit with an impressive NNT for mortality between 7 and 67, depending on injury severity, without apparent serious safety issues. This benefit is associated with early administration. TXA should not be given more than three hours after injury as it may increase mortality after this timeframe. It appears to have equal benefit in a variety of trauma practice environments. Recently, there has been a lot of buzz about the use of topical tranexamic acid for epistaxis or oral bleeds on multiple social media platforms. 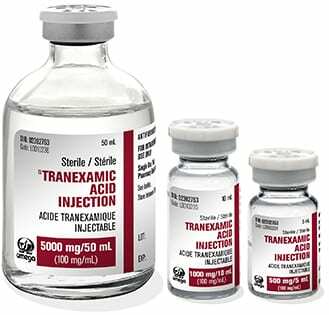 Everyone seems so happy that it works so well, but we thought we would look through the literature and see what the evidence for use of topical tranexamic acid (TXA) is and how best to compound it for these clinical dilemmas. We performed a PubMed, and Ovid search using the terms “topical” AND/OR “oral solution” AND/OR “intranasal” PLUS “tranexamic acid” to answer our questions at hand.